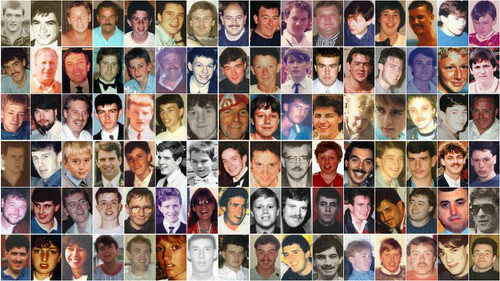 Bruises on the arms of a 26-year-old woman killed at Hillsborough could indicate she was alive when she was carried onto the pitch, pathologists told the inquests. Paula Smith, from Clubmoor, was described by a witness as becoming limp during in the crush at the semi-final on April 15, 1989. She was shown on footage at 3.17pm among a pile of casualties at the front of pen three of the Leppings Lane terrace. Police constable Paul Wadsworth said he picked her up in the pen with a colleague and passed Paula through the gate along a chain of officers, onto the pitch. A post mortem report recorded that Paula had a number of fingertip-size bruises on her upper arms. Forensic pathologist Professor Guy Rutty said: "The inner aspect of the upper arm is an absolutely typical place for somebody to grip somebody whilst trying to hold them or move them." He said Paula must have had a circulation at the time the bruises were caused. Christina Lambert QC, counsel to the inquests, said: "Would a possible explanation for the bruising be as she was being extracted from the pile of bodies at the front of the pen?" Prof Rutty said: "Yes, as I said an extraction movement and the carrying of a body can cause bruising to that position." Judy Khan QC, representing Paula's family, said: "A combination of pathological features support the suggestion that Paula was not in cardiac arrest whilst she was in the pen but that may have occurred at some later stage, would you agree?" Prof Rutty said: "Yes, There are features there which could support that scenario, yes." Footage from 3.27pm showed Paula, who also suffered a fractured arm, lying on her back on the pitch with her head covered, before being placed on a hoarding at 3.29pm. Experts also said the life of 19-year-old Ian Whelan, from Warrington, could have been saved if he was taken out of the pen earlier. The teenager, who the court had heard left two red roses on his girlfriend's doorstep on the morning of the match, had been in pen three when the crush started. Distressing footage from 3.17pm showed him lying on a pile of casualties, with someone sitting on him at one point as they tried to climb the fence. Intensive care expert Dr Jasmeet Soar said Ian was unconscious and unresponsive in the footage but he could not say if he was breathing or had a pulse. He said: "If I was challenged, it is possible he could have been smothered in the pen and we see someone, you know, covering his face intermittently and then we do see his head falling forwards and sideways, which if his airway wasn't obstructed, his airway could be obstructed." Ms Khan, also representing Ian's family, said: "The corollary of that is, if he had been taken out at an earlier stage and had his airway protected, then he could have survived." Dr Soar said: "If he was breathing and had a heartbeat at the time." Footage showed some short medical assessments of Ian on the pitch - one lasting just four seconds. Dr Soar said: "All those assessments, although it appears the individuals who did them thought Ian was dead, I don't have confidence to say with any certainty that that was actually the case." Henry Rogers, a 17-year-old from Dodleston, near Chester, was also shown on footage at 3.20pm in the pile of casualties at the front of pen three. Medical expert Professor Jerry Nolan said Henry looked motionless in the pile and it was likely his heart had stopped beating by then, but he could not be certain. He said he thought Henry, who was given CPR while in the pen and at the Spion Kop end of the pitch, was dead by 3.35pm when a photo showed him being given mouth-to-mouth on the pitch. He said: "We have probably two resuscitation attempts without any documented response. "We have got no clear indication of any signs of life during that timeframe." The jury heard there was little evidence about the movements of Paul Clark, 18, from Derbyshire, for the experts to base an opinion on. He was last seen alive by friend Andrew Booth at 2.57pm and confirmed dead in the gym at 4.07pm. Prof Nolan said: "All we know is at some point during that very wide window of time Paul has gone into cardiac arrest." But forensic pathologist Dr Nat Cary said descriptions in his post mortem report might suggest Paul did not die rapidly. He said changes to the skin on the face had not affected Paul further down the neck and chest - as would be typical with traumatic asphyxia. Brenda Campbell, representing Paul's family, said: "One issue that you raised, as a possibility from the pathological signs, is that Paul was partially asphyxiated to a state of unconsciousness, where survival with supportive measures such as clearance and maintenance of an airway would have been a distinct possibility,"
He said: "I would readily accept that it is possible to have lesser signs of asphyxia and still go into cardiac arrest quite quickly." He added: "But they leave open the possibility of death being as a result of complications of unconsciousness." Pathologists gave the cause of death for all five victims considered at today's hearing as compression asphyxia. 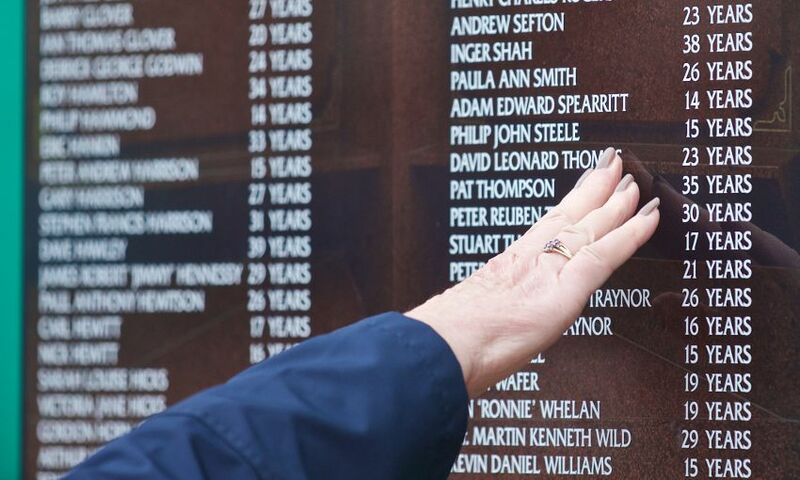 A 22-year-old who died at Hillsborough may still have been alive in the minutes after the match was stopped. David Birtle, from Cannock in Staffordshire, was shown at the front of the terrace in a series of short clips between 3.07pm and 3.09pm. In the first clip his head appeared to be moving. "But because his head is up that may suggest he is holding it up himself." He added: "His eyes are never clearly open in any of those video clips, so I would say he is possibly unconscious, but it is uncertain to his exact condition." He accepted that if he had been conscious at that time and the crush had been relieved he would have survived. But pathologist Professor Guy Rutty said he thought the jury should consider whether David died after 3.07pm. He said: "I thought actually 3.07pm was actually a timeframe that we should consider from the AV video. That is an opinion from me looking at that film." The court heard witnesses had described trying to resuscitate David both in the pen and at the Kop end of the pitch. He was confirmed dead in the gymnasium at 4.05pm.